string(29) "Gordon Family YMCA SQUARE.jpg"
string(52) "public://projects/list/Gordon Family YMCA SQUARE.jpg"
The City of Sumner's new YMCA is a community focused 110,000 SF two-story recreational facility featuring a three court gymnasium and natatorium, which includes competition lanes, leisure swim areas, whirl pools, as well as a sauna and steam room. 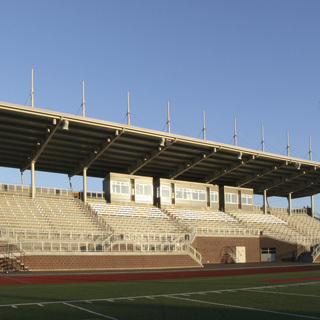 The steel framed roof and floor systems were designed to provide large open spans, while the tilt-up precast concrete walls facilitated a fast-track construction schedule. An elevated running track runs the perimeter of the second floor and is open to the gyms, cardio training, cycling areas and climbing wall. The facility also has multiple large multipurpose rooms, racket ball courts, childcare, teen center, art center and community meeting rooms. Geopier stone columns foundations were installed to mitigate potential soil liquefaction due to seismic ground motion. string(30) "Gordon Family YMCA FEATURE.jpg"
string(57) "public://projects/featured/Gordon Family YMCA FEATURE.jpg"
string(43) "Hillside and Carter Lake Elementary Schools"
A $60M project for the structural design of two elementary schools (Hillside and Carter Lake) was a fairly typical request for PCS with our resume of hundreds of K-12 projects around the Pacific Northwest – however, this project was unique. 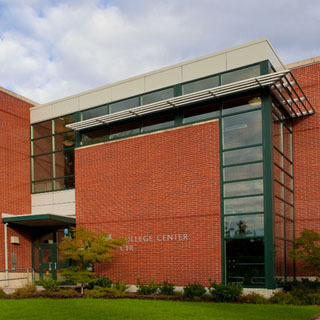 Owned by Clover Park School District, the location was on Joint Base Lewis-McChord (JBLM) and the schools required Anti-Terrorism Force Protection (ATFP) design. Also, to achieve partial funding by the Department of Defense (DoD) the structural shells for both schools had be designed in under 5 months in order to get proper permits, funding deadlines, and bid packages in to meet the schedule. PCS brought together a unique long list of staff including multiple licensed structural engineers and BIM Managers with expertise in K12, GCCM, early bid packages, Revit, accelerated schedules, and ATFP design to accomplish the owner’s goal - A Great Success Story. The two schools total over 135,000 SF to hold over 1150 students. Renderings above show erection of a classroom wing alongside our 3D Revit model. string(24) "Joint Base Lewis McChord"
This high end automotive dealership campus is a great success story, for all involved. The Larson family came to PCS in critical need of a structural permit submitted for an 80,000 square foot multi-dealership campus in just four weeks. PCS established a “war room" in our Tacoma office conference room and created 3D models in real time with the owner and architect intimately involved on a daily basis. The permit was attained, and the entire campus was constructed in a low bid arena with only a few structural questions and RFIs during construction. A great success story for the owner, and it all started by multiple people in the design/build industry recommending the Larson Corporation to call PCS. string(34) "McMicken Heights Elementary School"
string(38) "McMicken Heights Elementary SQUARE.jpg"
string(61) "public://projects/list/McMicken Heights Elementary SQUARE.jpg"
McMicken Heights delivers a 66,500 SF elementary school that was one of the first schools to embrace the new Washington Sustainable Schools Protocol. Additionally, its proximity to SeaTac Airport necessitates the use of noise mitigation techniques and attention to detail at roof framing connections to discourage the propagation of sound through the structure. PCS worked closely with the architect to achieve dramatic tilted and canted pre-cast concrete and steel canopies and main building columns. 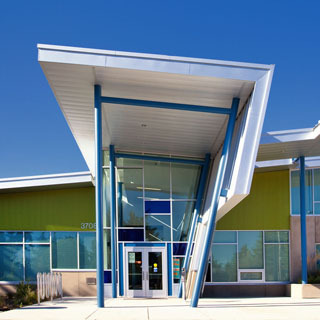 PCS kept the project on budget by utilizing tilt-up concrete wall panels and consistent use of steel framing sizes and connections. string(36) "Northwest Career & Technical Academy"
string(51) "NW Career and Tech Academy Skagit Valley SQUARE.jpg"
string(74) "public://projects/list/NW Career and Tech Academy Skagit Valley SQUARE.jpg"
string(38) "Northwest Career and Technical Academy"
The Northwest Career and Technical Academy is a six member district and one college consortium which delivers innovative educational opportunities to high school students in the greater Northwest Washington Region. The facility is a 32,700 SF two-story building, framed with steel beams and columns, and exposed steel braced frames. The floor structure consists of composite concrete/steel deck, while the roof is framed with steel beams and metal deck. Special features include the banked retaining walls, a sloped roof clerestory at the main commons area, and large uninterrupted spaces. string(27) "Peace Island Medical Center"
string(38) "Peace Island Medical Center SQUARE.jpg"
string(63) "public://projects/list/Peace Island Medical Center SQUARE_0.jpg"
This new 39,000 SF greenfield critical access hospital provides care for the community of Friday Harbor. The design team embraced the Living Building Challenge during the early schematic stages of the project to guide design decisions and minimize the environmental impact to the site. The structural system on the main hospital wings creates clear spans on a consistent module, allowing for added efficiency and uniform day lighting through repetition. 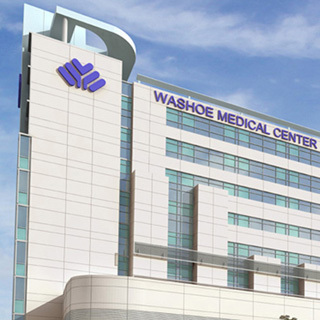 Building Information Modeling (BIM) was utilized to coordinate design efforts and ensure MEP services for the hospital would route throughout the building free of clashes with adjacent systems. 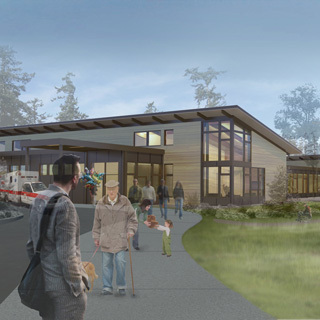 string(39) "Peace Island Medical Center FEATURE.jpg"
string(66) "public://projects/featured/Peace Island Medical Center FEATURE.jpg"
Designed as a year-round gathering space for friends and family, this retreat is tucked into a densely wooded shoreline site with amazing views. The cabin is a structural steel and timber hybrid. Nine-foot-tall operable glass walls on adjacent faces of the building can slide away to open the kitchen and living areas to the large deck, which is covered by a green roof. 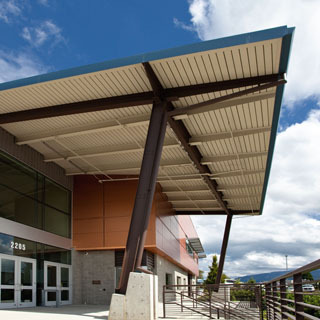 The second story space cantilevers over the lower level, creating a covered parking area. 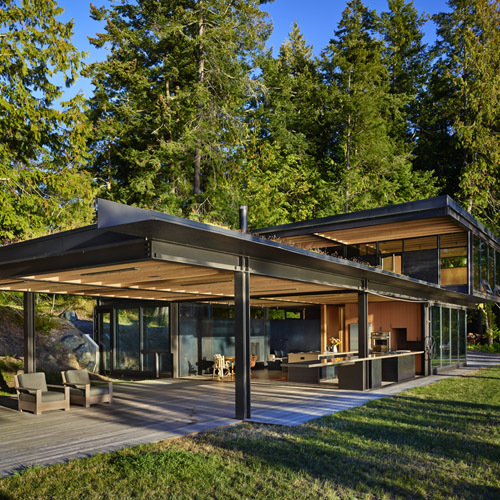 PCS also provided structural engineering support for some architectural details, such as the countertop that cantilevers almost 12 feet from the kitchen out into the covered deck area. string(20) "San Juan Islands, WA"
string(46) "Pierce College Performing Arts & Allied Health"
string(57) "Pierce College Arts and Allied Health Building SQUARE.jpg"
string(80) "public://projects/list/Pierce College Arts and Allied Health Building SQUARE.jpg"
string(57) "Pierce College Performing Arts and Allied Health Building"
The Pierce College Performing Arts and Allied Health Building bring together multiple programs into one facility, providing the campus and neighboring community with high tech instructional and performance art spaces. 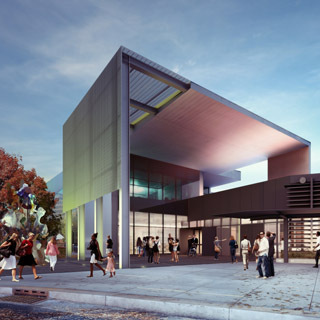 The 61,600 SF building includes a 300 seat theater, multi-media lab, music library, recording studio, practice rooms, art studios, and a two-story atrium lobby framed to flood the space with natural light. 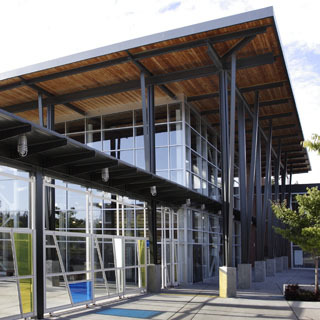 The building achieved LEED GOLD certification using a combination of recycled and local materials. The building includes a partial green roof, interior second-story bridge over the lobby, structural steel framing, and brick veneer exterior. string(40) "Pierce College, College Center Building "
string(40) "Pierce College College Center SQUARE.jpg"
string(63) "public://projects/list/Pierce College College Center SQUARE.jpg"
string(48) "Pierce College Puyallup, College Center Building"
Considered a key building on campus, the Pierce College Puyallup College Center Building provides students with a full collegiate experience. The 71,000 SF two-story structure integrates student and academic services into one building with a dining area, high-tech computer classrooms, bookstore and faculty offices. 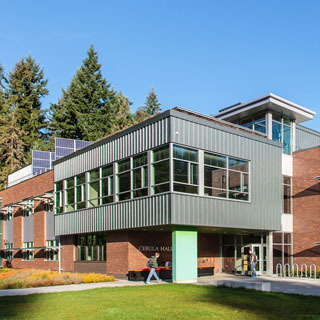 Exposed decorative steel trusses, brick and precast concrete exterior skin, and exposed steel stairs provide a state of the art experience for both faculty and students. string(36) "PLU Mary Baker Russell Music Center "
string(51) "Pacific Lutheran University Music Center SQUARE.jpg"
string(74) "public://projects/list/Pacific Lutheran University Music Center SQUARE.jpg"
string(60) "Pacific Lutheran University Mary Baker Russell Music Center "
The Mary Baker Russell Music Center houses the Lagerquist Concert Hall - a 535 seat state of the art performance venue. Constructed with strict acoustical considerations that were incorporated into the structural design, the hall walls were built of brick and concrete masonry in order to support unique curved precast concrete ceiling components. 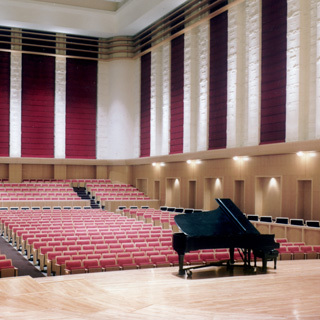 A prominent and prided feature of the concert hall is a 54-stop Paul Fritts Organ that is supported on a platform above the stage. The building follows the slope of the site down the hillside and also houses classrooms, faculty studios and practice rooms. string(30) "Redmond High School SQUARE.jpg"
string(53) "public://projects/list/Redmond High School SQUARE.jpg"
Redmond HS won the CEFPI 2005 Polished Apple Award and the Eagle Award (highest honor) from the ABC of Western Washington. PCS provided structural consulting again in 2012 for multiple additions to the HS, which increased its size to over 240,000sf. 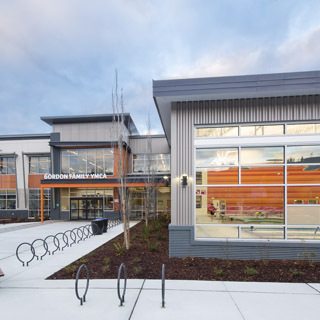 PCS introduced multiple secondary structural systems to achieve an architectural concept of horizontal, thin bands of glazing and veneer around the building’s exterior. The end result is a clean structural and architectural system that created the opportunity for exceptional day lighting throughout the campus. string(32) "Renown Medical Center SQUARE.jpg"
string(55) "public://projects/list/Renown Medical Center SQUARE.jpg"
Renown Medical Center is the regional trauma center for the Reno/Sparks Metropolitan area in Nevada. The new 400,000 SF, ten-story expansion of the existing hospital creates space for 384 in-patient beds, thirty intensive care beds, twenty-eight surgery suites, and emergency and urgent care services. The structure consists of a structural steel gravity system and a ductile concrete core wall lateral system designed utilizing the latest Performance Based Design requirements, which provide the highest degree of life safety while resisting the large earthquake forces required in the Reno area. 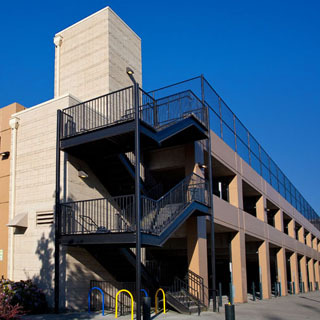 A 423,000 SF, seven-level, 1,700-stall, cast–in-place concrete parking garage was constructed adjacent to the facility to provide easy access for the users of the facility. string(33) "Renown Medical Center FEATURE.jpg"
string(62) "public://projects/featured/Renown Medical Center FEATURE_0.jpg"
string(37) "Saint Martin's University Cebula Hall"
string(48) "Saint Martin's University Cebula Hall SQUARE.jpg"
string(71) "public://projects/list/Saint Martin's University Cebula Hall SQUARE.jpg"
string(38) "Saint Martin's University Cebula Hall "
The three-story, wood-framed Cebula Hall is the highest-rated LEED-certified building in the Western Hemisphere. It houses engineering classrooms, laboratories and offices. 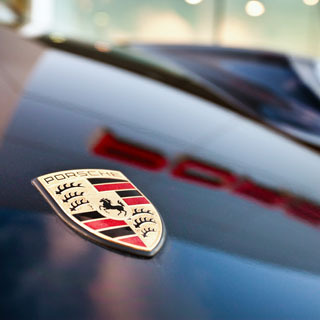 The 26,900 square foot building was a design-build project that was constructed for $205 per square foot. Although the structural system was wood framing the brick and metal panel exterior gives the building the appearance of a more traditional concrete or steel-framed building. 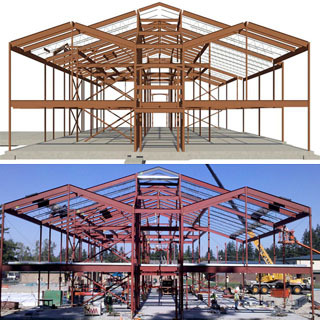 The use of wood framing required intensive BIM collaboration to provide lateral and vertical framing systems that were compatible with the high-performance building systems. This project received a Citation of Excellence Award in 2014 from the Learning by Design publication. string(49) "Saint Martin's University Cebula Hall FEATURE.jpg"
string(76) "public://projects/featured/Saint Martin's University Cebula Hall FEATURE.jpg"
string(33) "Seattle University Law SQUARE.jpg"
string(56) "public://projects/list/Seattle University Law SQUARE.jpg"
The Seattle University Law School is a 136,000 SF facility that provides space for over 800 students. The building houses state-of-the-art classrooms and study areas, a 250,000-volume law library, a cutting edge courtroom complex, spacious student lounges and activity centers, as well as a café. The central atrium connects all five floors, bringing in natural light to almost every room. The structural framing system consists of a steel frame with concrete cores, providing an open, flexible space and an abundance of exterior glazing. Designed as a classically proportioned residence, Southpaw hugs the left side of a Lake Washington waterfront lot so that it can receive the maximum amount of available sunlight throughout the day. Abundant natural light also enters the three-story sky lit “slot” that doubles as the vertical circulation space. High ceilings, oversized steel-framed windows and French doors provide views over the pool and gardens to Lake Washington. string(24) "TAM Haub Wing SQUARE.jpg"
string(47) "public://projects/list/TAM Haub Wing SQUARE.jpg"
PCS Structural Solutions is pleased to be a community partner and neighbor with the Tacoma Art Museum. As long standing members of the museum, PCS provided the structural design for the original 50,000 SF facility, which includes 12,000 SF of exhibit space, 7,800 SF of smaller galleries, an education wing, an event space, a museum store and café, as well as an open-air interior stone garden encased in mirrored stainless steel and reflective glass. 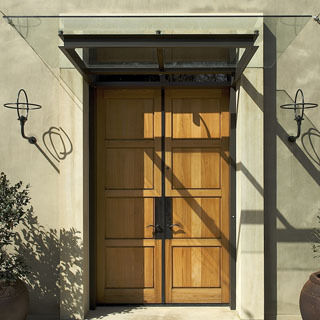 The steel structure is expressed in the form of custom shape columns that were built up out of plates. 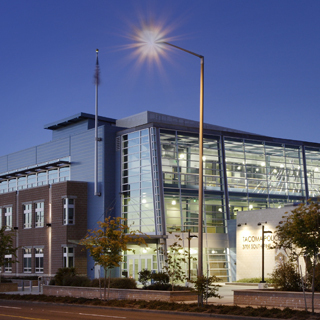 PCS has also provided structural engineering for the Haub Wing expansion, which opened in 2014, and the Benaroya Wing expansion, which is set to open in early 2019.
string(37) "Tacoma Police Headquarters SQUARE.jpg"
string(60) "public://projects/list/Tacoma Police Headquarters SQUARE.jpg"
The Tacoma Police Headquarters Building consists of a 74,000 SF three-story essential facility for the City of Tacoma. Supplementing the architectural concept of an internal atrium space, PCS incorporated and exposed steel “X” braces in a 50-foot tall open space, which gave the architect and owner flexibility in the perimeter office spaces. This proved to be a good choice as the national Patriot Act lead to programming changes within the building during construction. 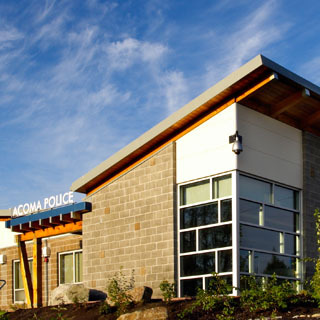 string(30) "Tacoma Police Sector Stations "
string(40) "Tacoma Police Sector Stations SQUARE.jpg"
string(63) "public://projects/list/Tacoma Police Sector Stations SQUARE.jpg"
The Tacoma Police Sector Stations are four substations located throughout the community they serve. 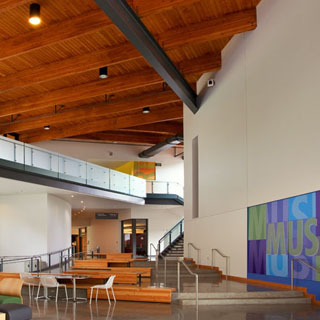 The main entry features exposed heavy timber and opens to a central corridor dividing the secured Police functions from the public meeting room areas, which are also framed with an exposed timber beam roof system. 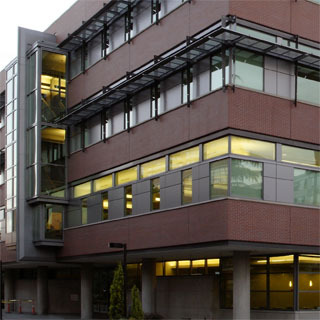 Exterior materials and colors were selected to provide continuity with the Police Administrative Headquarters, another PCS project.